Food and climate change: Which foods are the most damaging to the planet? And which foods could help save it? 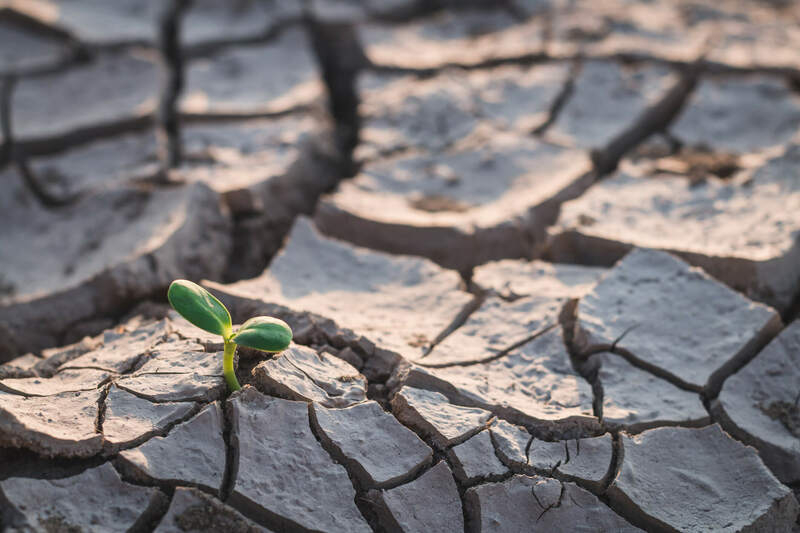 Check out the current state of climate change and see what research says about the impact of certain foods. If there’s one common problem that every inhabitant of the earth is currently facing, it’s climate change. Our atmosphere is warming. Storms are becoming more powerful, frequent, and unpredictable. Agricultural patterns are being overturned, leading towards widespread crop failures. Insect populations are falling, threatening entire ecosystems with collapse. And coastal communities, including entire nations, are being threatened by rising ocean levels and saltwater encroachment. Most scientists agree: Human activities are the biggest driver of our warming atmosphere. But what can we do? The problem can seem so daunting, and our individual power can feel so limited. Most of us don’t want to stop driving our cars, heating our homes, or buying the manufactured goods that keep us alive and comfortable. Do we have to throw up our hands and hope that technology will save us? Or that the world’s energy companies will decide to stop drilling for oil? The good news is, we all share one thing that can have a significant impact on climate change: the foods we eat. By making small adjustments to your daily food choices, you can help counteract the biggest environmental threat we’re facing today. You have the power to help save the planet — starting with what’s on your plate. It’s not the whole story, but it can make a significant impact. Earth’s temperature has risen about 1.4 degrees Fahrenheit since 1880, with about two-thirds of that warming occurring since 1975. And if we don’t collectively start making major changes now, scientists predict the path we’re on will have dire consequences for all life on earth. What’s causing this change in temperature? Well, we are. The overwhelming consensus among the scientific community is that global warming is a direct result of human activities, like burning fossil fuels. A practice that began during the Industrial Revolution and emits greenhouse gases into the atmosphere. The primary greenhouse gases are carbon dioxide, methane, and nitrous oxide. They become trapped in the atmosphere and prevent heat from leaving the planet — causing the plant to heat up. Polar ice caps are melting. Sea levels are rising. Ecosystems are being destroyed. Species are going extinct. And we’re experiencing extreme weather events and natural disasters. And those are only a few of the effects. If we continue causing emissions at their current rate, the oceans will soon be more acidic than they have been in 14 million years. As a result, leading-edge scientists project that there could be more than 1.4 billion environmental refugees by 2060 and more than 2 billion by 2100. Climate science has become a political flashpoint in the U.S. So-called “climate deniers” dismiss the scientific establishment as corrupt or incompetent (or both). And the mainstream derides climate skeptics as corrupt and ignorant. I bring this up here for two reasons. First, if you are a climate skeptic, feel free to ignore the statistics I’m sharing here. Instead, ask yourself, “Do I want to live on a healthy planet where all may be fed?” If that’s the case, all the recommendations I share will still move us in that direction. Imagine that someone told you that your child is playing in a field where poisonous snakes have just been spotted, and it’s urgent that you go get them and bring them to safety. You say, “OK, thanks,” but keep doing what you were doing before (washing dishes, or balancing your checkbook, or refreshing Instagram, for example). The person who brought you the news would be alarmed, would they not? They would be forced to assume that either a) you don’t care about your child’s safety, or b) you don’t believe them. In other words, if you believe in human-caused global warming and don’t take personal action in the realms where you have real power to act, you’re essentially a climate denier yourself. With that challenge thrown down, let’s look at one of the most powerful and delicious ways you can combat climate change: by upgrading what you put on your plate daily. You’ve heard that carpooling and buying more efficient vehicles is good for the planet. Perhaps you’ve even participated in Bike to Work Day or dreamed of getting a Tesla to do your part. But did you know that agriculture — specifically the breeding and raising of animals for food — contributes more to global warming than transportation? And, of course, industrial-scale agriculture and especially animal-based agriculture is one of the planet’s heaviest users of transportation as well. Furthermore, animal agriculture is the leading cause of species extinction and ocean dead zones. It makes sense then that the Intergovernmental Panel on Climate Change (IPCC) suggests reducing consumption of meat, milk, cheese, and butter as a critical way to reduce your carbon footprint. Livestock production is responsible for a surprisingly high amount of the world’s greenhouse gas emissions. This comes from both animals and their manure. Cows alone are responsible for the majority of livestock’s contribution, releasing methane through their eruptions (essentially their farts and burps) and in their manure. Methane is at least 28 times as destructive as carbon dioxide when it comes to heating the atmosphere. Animal agriculture is a leading cause of deforestation. We’re destroying countless acres of land just to grow food (like corn or soy) for livestock, or to create grazing land for cattle. And we’re doing it in very delicate ecosystems, like the Amazon rainforest. Not only does this destroy habitats for already endangered species, but it also releases the carbon dioxide back into the atmosphere that those plants and trees absorbed for us. Growing food for livestock gives off nitrous oxide. The biggest livestock crops are soybeans, alfalfa, and corn. Corn is especially dependent on large amounts of carbon-emitting chemical fertilizer. How Can We Combat Climate Change While Continuing to Feed a Growing Population? 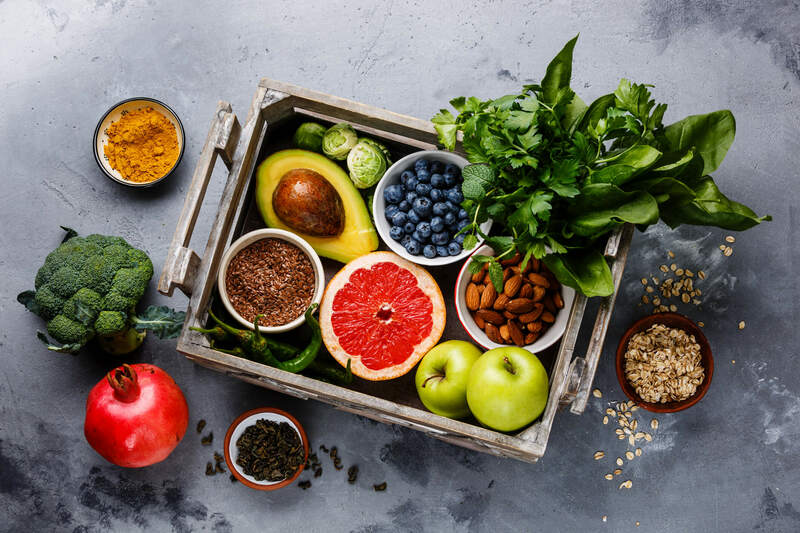 A report from the World Resources Institute released in December of 2018 says that shifting from a standard, animal-centric diet is one of the best places to start. Even changing just 30% of your food from animal products to plant-based foods would be effective (but more is even better!). In 2018, the journal Science published the largest study to date on the environmental impact of food. Researchers looked at data collected from 40,000 farms in 119 countries, including 40 food products that represent 90% of everything we eat. The authors concluded that livestock provides only 18% of food calories and 37% of protein, yet they use over 83% of farmland. Livestock is also responsible for 57% of water pollution, 56% of air pollution, and use a third of the world’s fresh water. And even though by “Western diet” they mean the standard American diet, most other developed and developing countries have increasingly adopted or aspired to this dietary pattern. This has not only led to an increase in many preventable chronic diseases, but it has also widened the impact of environmental damage. By now you’re probably wondering, what foods contribute most to climate change? Where can you start if you want to shift your diet to help prevent global collapse? A 2011 analysis by the Environmental Working Group looked at the carbon footprint of various foods. In other words, how much do different foods contribute to the greenhouse gas effect? Their report shows how many kilograms of carbon dioxide is emitted per kilogram of each food consumed. The worst offenders included lamb, beef, cheese, pork, farmed salmon, turkey, chicken, canned tuna, and eggs. 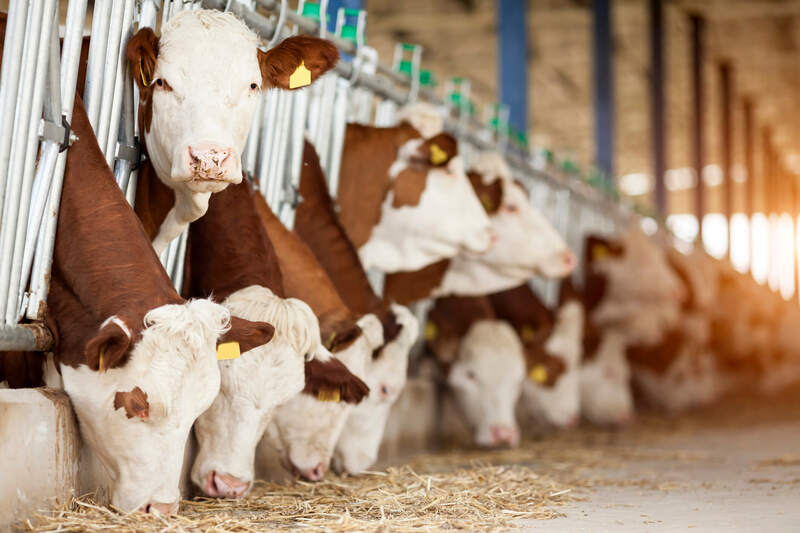 Beef production emits about 10 times more greenhouse gases per pound of meat than chickens or pigs, which themselves emit about 10 times more than legumes. The lowest greenhouse gas-producing animal product, chicken, is still seven times more damaging to atmospheric stability than lentils. Plants also need natural resources to grow, but they’re far less resource intensive than animal products. 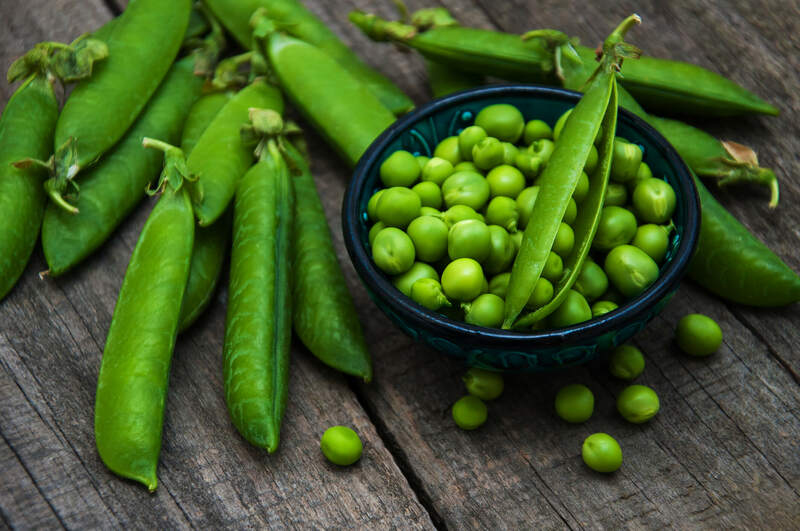 Foods like peas, lentils, and beans need little water and can grow in tougher climates. 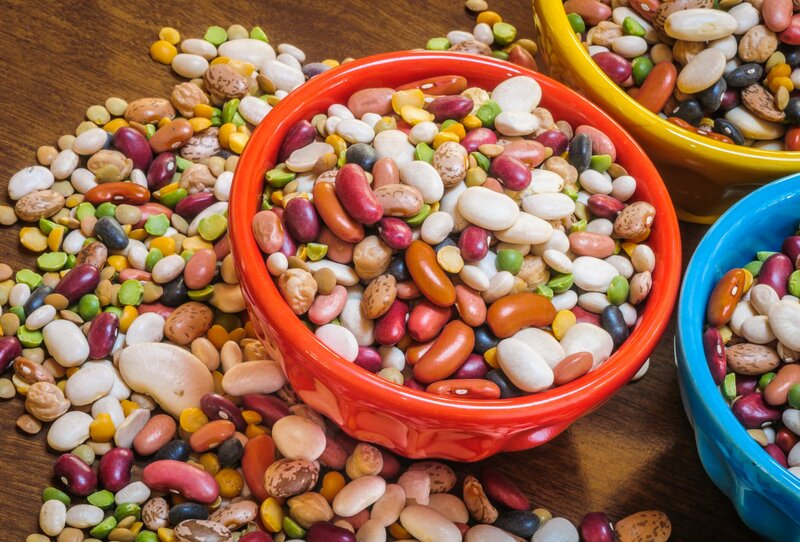 Legumes also have the ability, in partnership with certain soil fungi, to extract inert nitrogen from the soil and use it, which reduces the need for fertilizers that release nitrous oxide into the atmosphere. I’ve also never seen a plant burp or pass gas (not even skunk cabbage!). By making more environmentally-friendly food choices, you can make a big impact. Lentils come in several varieties. 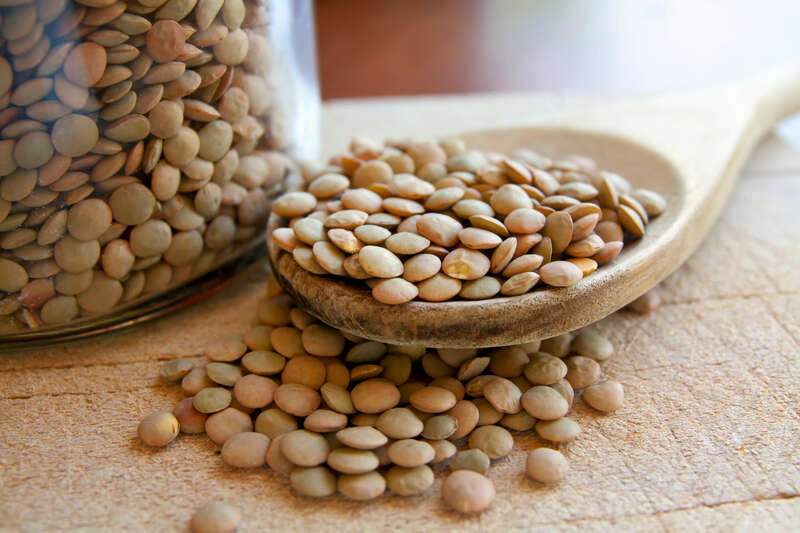 Green and brown lentils are great for making cold lentil salads, while red lentils do well in soup. You can find lentils both canned and dried. 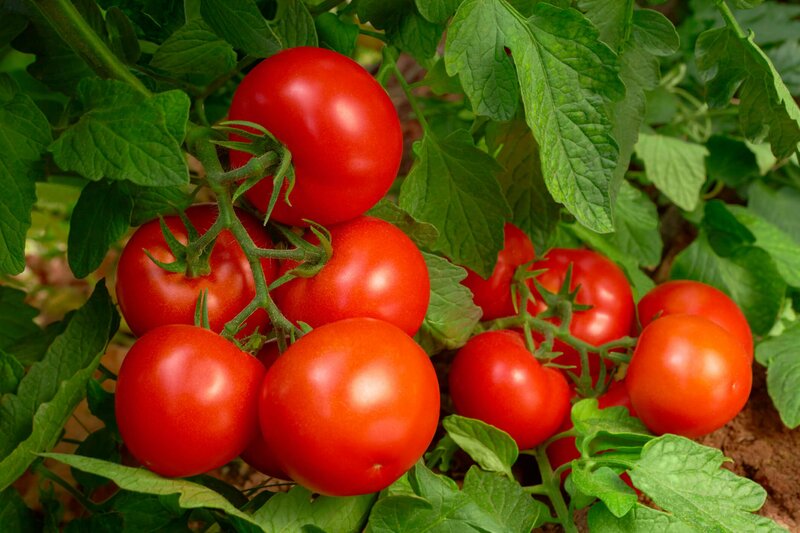 Tomatoes may be one of the easiest plants to grow at home, but whether you grow or buy them, they have countless uses. I enjoy them sliced on sandwiches or on top of avocado toast, chopped into salads, or blended into homemade tomato bisque. Dry beans are a great, affordable bulk food to keep in your pantry. After an overnight soak and a rinse, they’re ready to cook and use in soups, bean dips, on nachos, in chili, or in a three-bean salad. 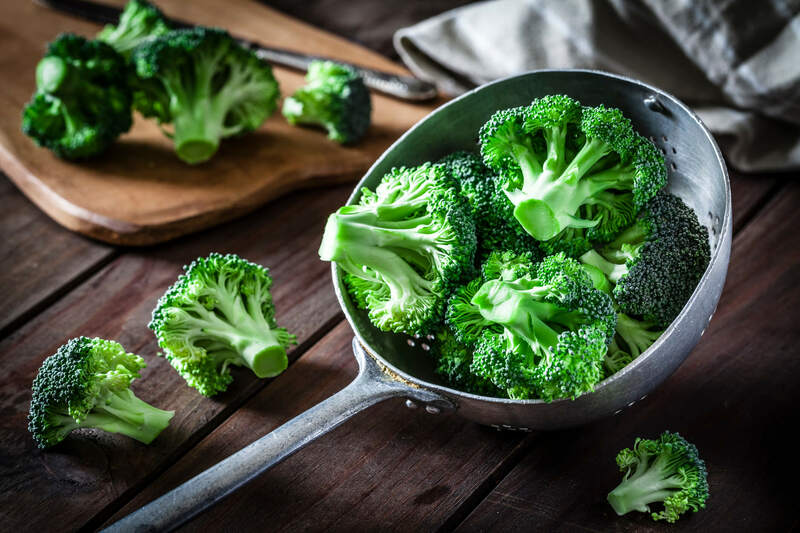 Broccoli is delicious both raw and cooked. It makes a nutritious snack at any time of day and an excellent side to just about any dish. I enjoy creamy broccoli soup, roasted broccoli florets, and have even been known to put broccoli on pizza. And maybe I’m weird, but I also love it lightly steamed, with nothing on it! 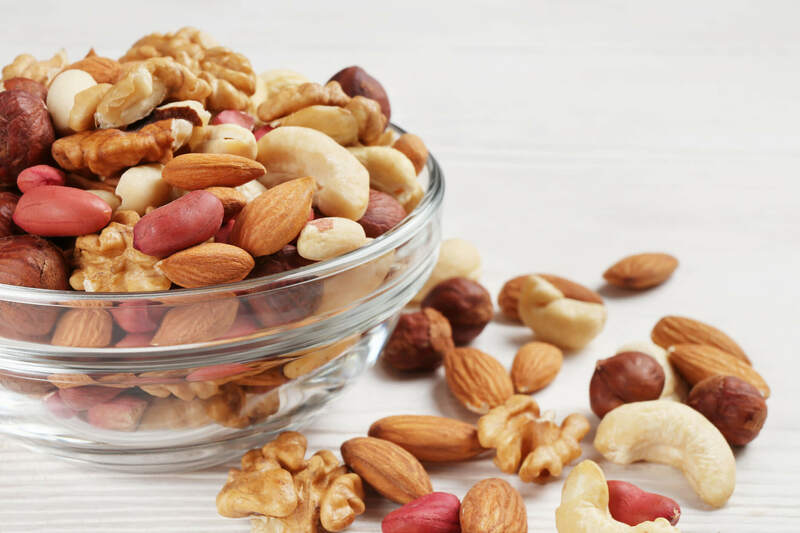 Nuts are another nutrient-dense food to keep on hand. 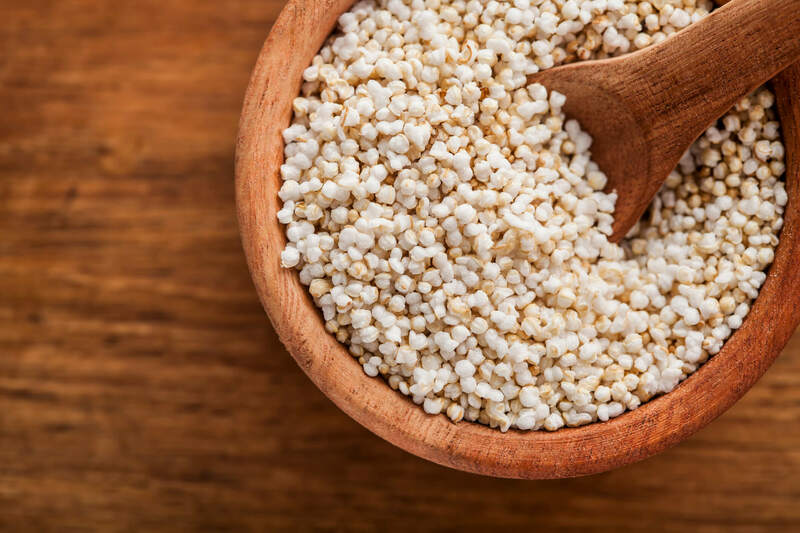 They make a great snack food, but you can also use them to make nut milk, mix them into oatmeal, sprinkle them onto salads or casseroles, or use them to make dairy-free cheese. Rice is a low-cost grain that complements many simple meals, such as stir-fries, curries, burritos, and cooked beans. It’s also a key ingredient in rice pudding, homemade veggie burgers, and sushi. 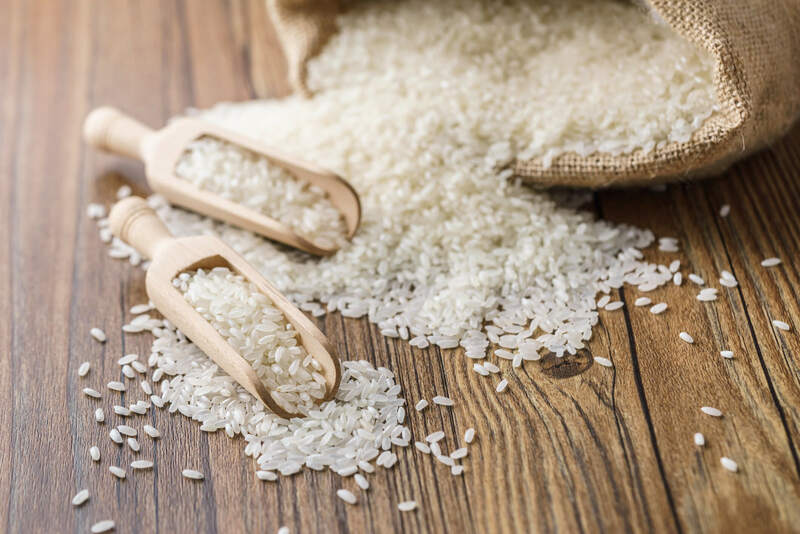 Rice is often contaminated with arsenic so you may want to limit consumption with this in mind. 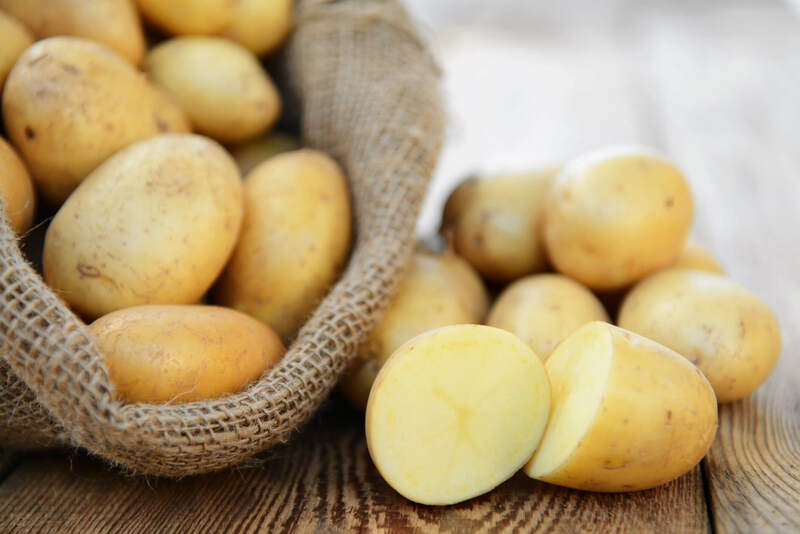 Potatoes are great mashed, roasted, or air-fried. Twice-baked potatoes loaded with veggies can even be the star of the meal. Leave the skin on for added nutrients. They naturally fix nitrogen in soil. This reduces the need for fertilizers and helps maintain the soil’s nutrients. This grain is resilient and can grow in difficult climates. It doesn’t need much water and has been used to help with world hunger. 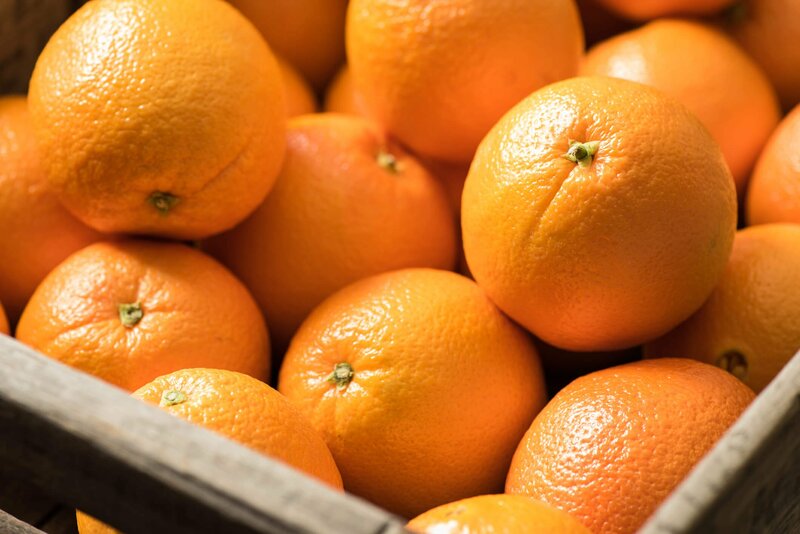 These fruits are water-efficient fruit in their whole form. They require around half as much water to grow as bananas. So just how big of an impact can eating more plants have on climate change? 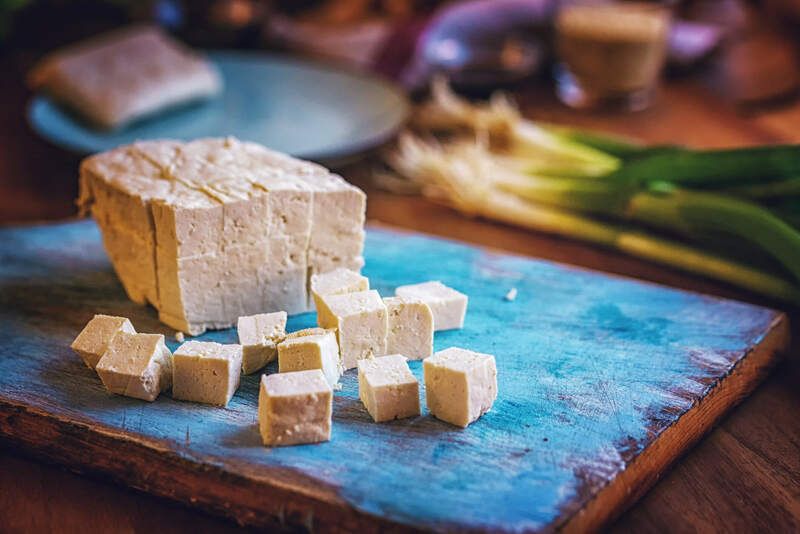 According to a 2018 study published in the journal Nature, adopting a plant-based diet could contribute to cutting food-related greenhouse gas emissions by more than half. 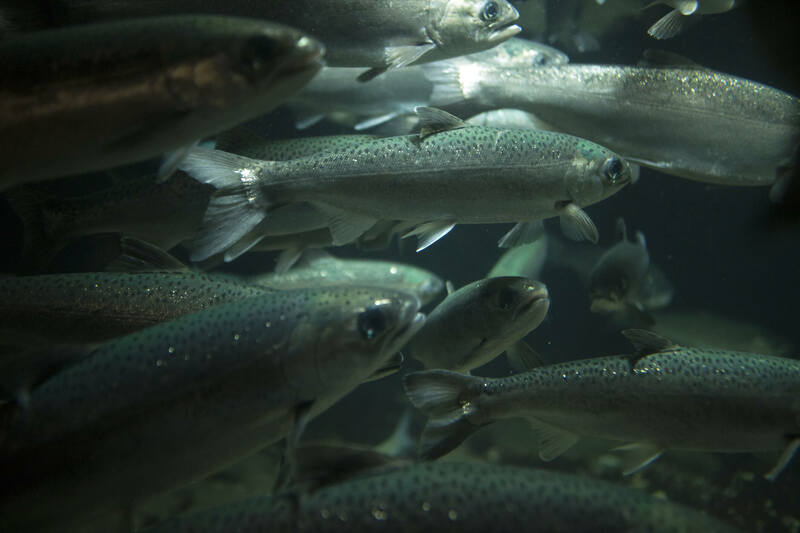 When it comes to choosing how the food you eat is produced, you also have some options that take the environment into consideration. Local food is commonly considered to be food grown within 100 miles from you, though there’s no official definition. Eating locally — even if that means foods grown within your own state or region rather than foods imported from other continents — cuts down on food miles, the distance your food travels to reach you. 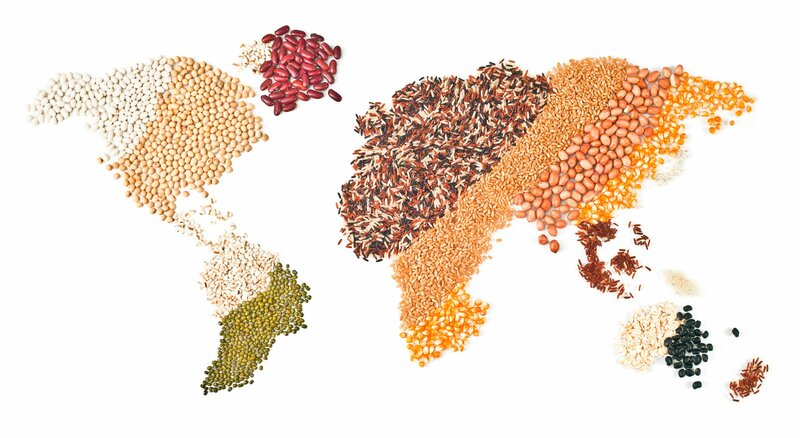 The more food miles traveled, the bigger the carbon footprint. The average fruit or vegetable travels 1,500 to 2,500 miles, and it wasn’t by foot, on horseback, or pulled by a bicycle. We’re talking ships, trains, and trucks — most of which are gas-guzzlers. Local foods travel less, and that means they cause fewer carbon emissions. Look for farmer’s markets, community supported agriculture (CSA) programs, and urban farms in your area to support when available. Food that’s grown organically can also be better for the environment. The Soil Association says that 23% of the greenhouse gas emissions in the European Union (EU) could be cut if half of all the farming in the EU converted to organic agriculture by the year 2030. Organic farming attempts to reduce the use of chemical fertilizers by cultivating healthy soil, which typically stores a lot more carbon than the moribund soil kept on life support through massive and frequent applications of industrial fertilizers, pesticides, herbicides, and fungicides. Organic food is a great option, even though it’s still often grown on massive farms that aren’t all that sustainable. Using ideas from organic and holistic farming methods, regenerative agriculture is a new concept (actually, an ancient one!) that uses crops to mitigate climate change. And it’s a pretty cool idea. Plants breathe out oxygen, but they also breathe in carbon dioxide from the atmosphere. One of the principles of regenerative agriculture is to store that carbon dioxide in the soil by constantly increasing the ratio of organic matter through composting and heavy mulching. This can help rebuild deteriorated topsoil, lead to better and higher yielding crops, address world hunger, and mitigate climate change. Sounds like a win to me. For more information about regenerative agriculture, you can check out Regeneration International’s site, here. When I face the enormity of climate change, sometimes the problem can feel so large that I’m tempted to think that I don’t matter all that much. Sometimes, I can feel like not so much a drop in the bucket, as a drop in the sea. And when I look at how food and climate change are related, I start to think that maybe our choices aren’t really all that insignificant after all. Because when it comes to what you and I eat, we have real power. And it just so happens that the same food choices that contribute to a healthier climate can also help contribute to longer and healthier lives. So whether you go 100% plant-based or adopt a meat-free Monday (as New York and Los Angeles public schools are doing), and whether you support organic or regenerative agriculture some of the time or all of the time… there are steps you can take. And every step, and every bite counts — for you, and for the planet, too. What questions or concerns do you have about food and climate change? How does climate change impact the way that you think about food? Are there any foods you prefer, or avoid, because of their climate impact?